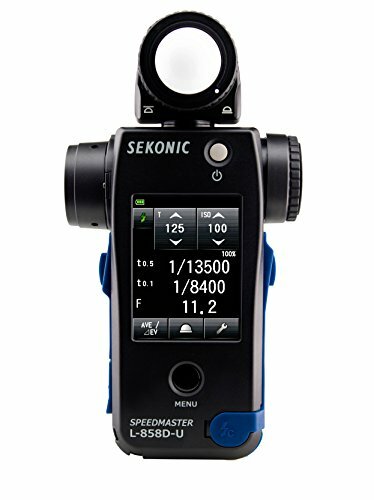 Sonic Speed master L-858D-U is the world's first multi-function, multi-brand wireless triggering light meter. It is the first of its kind capable of measuring flash duration and brief flash bursts like you find from HSS (High Speed Sync) for precision flash control. Flash Duration Measurements - Understanding flash duration is the first step in freezing fast-moving subjects. If you have any questions about this product by Sekonic, contact us by completing and submitting the form below. If you are looking for a specif part number, please include it with your message.